Every year I go away with a group of friends for a weekend of loads of chatting, board games, tea, beer and chocolate (not necessarily in that order). A couple of the friends I was with also do CrossFit and we decided to go for a workout at the nearby box on Saturday. It happens to be one of the biggest boxes in Holland. It was the very first one, not only in Holland, but also in Europe! Pretty cool :). The coach said to find your 5rm and use that as a weigh for the emom. I tried with 25kg first, but after 3 reps I felt a bit wobbly. So chose to do the WOD with 22.5kg. Which, honestly, felt a little light. But my technique/confidence with the overhead squat is still so low.. It went really well now and I don’t want to force it too fast. So I’m quite happy with what I did, feeling that I could do more. Which will give me more confidence next time. 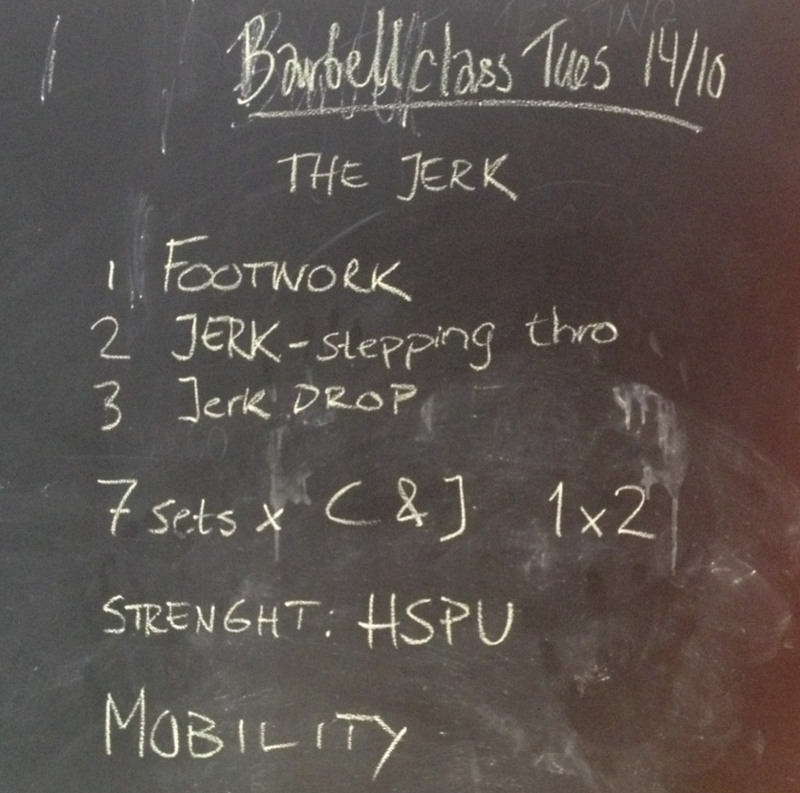 I did the man makers with 2 6kg dumbbells and the lunges with a 16kg kettlebell, but I scaled them to 10 reps. There was a 15 minute timecap and I finished 4 full rounds. It was a nice workout :). It’s nice to see different boxes as well. It makes me realize more and more how much I still have to learn. 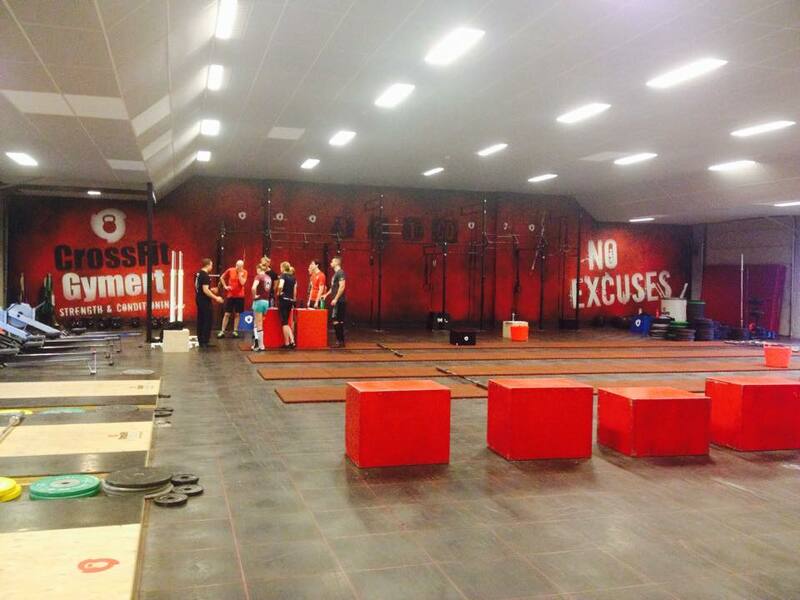 My first real workout as a member of Crossfit Lelystad. I did the kettlebell swings with a 16kg kettlebell and scaled the double unders to 20 reps. My time was 15 minutes and 29 seconds. I was the last one to finish :(. It is kind of scary to join a new box. Especially because I know that my box is not that strict on perfect technique.. so I feel a little bit insecure in some ways as I’m supposed to know how to do everything properly, but don’t always feel that way. Also, this box spends a lot more time on the warming up with very specific moves and techniques. Most of the terms I have never heard of and movements I have never done before. I think I will learn a lot in the 3 to 4 weeks that I’m training here. But I am definitely a little bit out of my comfort zone. I haven’t decided yet if I should give my Wendler program a break while I am here and just focus on the WOD’s. I think this week I will stick to the WOD’s and then decide again next week. The work had to be done in order. It took us a little under 17 minutes. It was my sisters very first WOD and she did great! We divided almost all the work equally, except for the box jumps and burpees, where I did a bit more. I signed her up for a month (birthday present) and myself as well of course!